This recording will show you how to communicate with people, pets, and even inanimate objects from the deepest, most nurturing level of human awareness. It is designed to be shared with a spouse, a friend, or even with someone you may have just met. 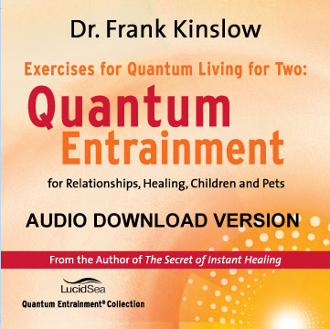 In it you will learn the exciting scientific process Quantum Entrainment® with will awaken in you awareness of Eufeeling, a source of inner joyfulness. Then you will actually learn to create the perfect relationship, help remove physical and emotional complaints for friends and family, teach Quantum Entrainment® to children, deal with strife within the family and even help heal the problems of your pets.